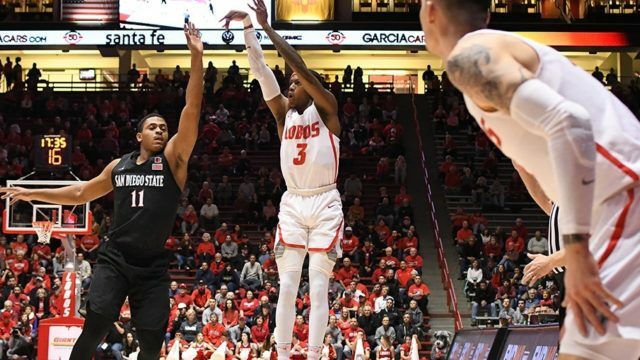 San Diego State squandered an early double-digit lead in the 83-70 loss to New Mexico on Tuesday night in Albuquerque. The Aztecs (13-9, 5-4 Mountain West Conference) was leading 33-22 late in the first half before the Lobos caught fire and closed to gap to one point at the half. New Mexico (10-12, 4-6) then went on 22-6 run to start the second half and San Diego State never got within single digits again. 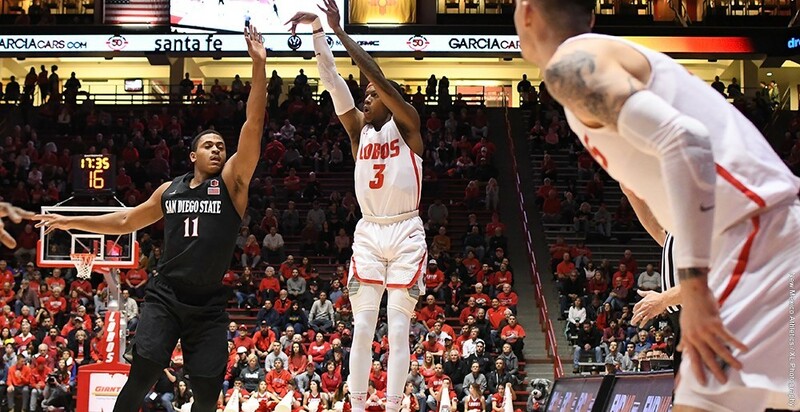 Anthony Mathis, the Lobos’ second score leader, became hot and scored all of his 17 points in the second half, including three 3-pointers and three free throws after being fouled behind the arc. Keith McGee led New Mexico with a career-high 19 points. This was the Lobos’ third conference home game win this season. Jalen McDaniels led the Aztecs with 25 points followed by Devin Watson with 13. With the loss, San Diego State is now tied for fourth place in the Mountain West with UNLV and Boise State. The Aztecs will host the Utah State Aggies on Saturday.